Obituary for James Richard Powell Jr.
James Richard Powell Jr., 57, of Brunswick, Maryland, passed unexpected from this life on Sunday, November 4, 2018 at Frederick Memorial Hospital in Frederick, MD. Born on May 12, 1961, in Rockville, Maryland and was the son of late James Richard Powell, Sr., the late Elizabeth “Betsy” and Frank Zientek. 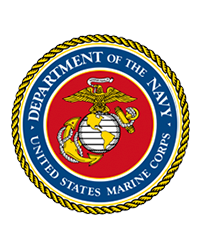 Richard was a graduate of Brunswick High’s Class of 1979, and was a veteran and life-long supporter of the United States Marine Corps. Richard worked primarily in the construction field after his time in the military, and was currently employed as a Superintendent for AMCO Metals Products. 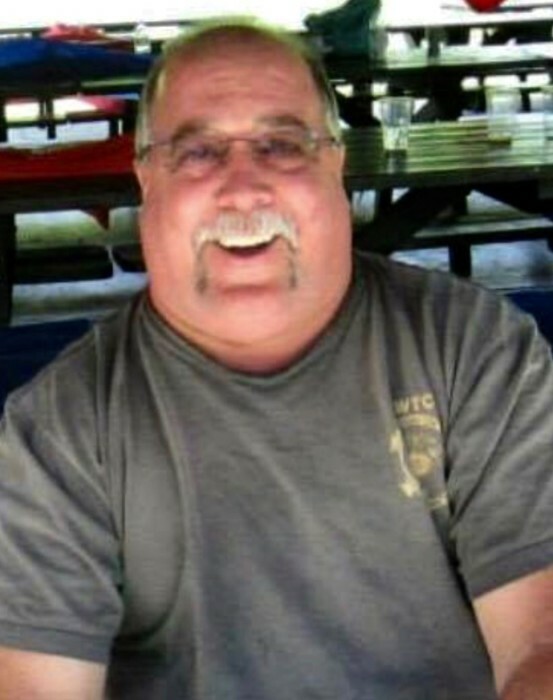 He was a Brunswick resident for most of his life, and was a current member of the Brunswick Eagles, and American Legion Post 96, and past member of the former Brunswick Moose Lodge. Richard loved his role as PopPop to his seven grandchildren. In addition to spending time with his grandchildren, he loved traveling with the love of his life Patty Corun, hanging with friends and spending time at their home away from home at River Bend in Falling Waters, WV. He is survived by wife, Patricia “Patty” (Corun) of Brunswick; son Joshua Powell, wife Jessica, and their children Jameson and Juliana of Sykesville, MD; son Zachary Powell, wife Tara, and their children Brooke, Brady, and Bailey of Rohrersville, MD; daughter, Ashleigh Powell, her fiancé Albert Lowe, and their children Makenzie and Braylen of Brunswick, MD. Richard is also survived by brothers David Powell, wife Stephanie, of Brunswick, MD; Jeffery Powell, wife Beth, of Charles Town, WV; Frankie Zientek, wife Patti, of Brunswick, MD; and Dean Zientek of Frederick, MD; sisters Tonia Shockey, husband Bryan, of Jefferson, MD; and Maria Pippin, husband Greg, of Frederick, MD; brother-in-laws Randy Lewis of Jefferson, MD; John Corun and wife Eileen of Baltimore, MD and numerous nieces, nephews, aunts, uncles and cousins. Richard also leaves behind special friends Jimmy Stewart of Jefferson, MD; Corey Webber and Frank Mohler of Brunswick, MD; and Dave Taulton of Hagerstown, MD. In addition to his parents, Richard was also proceeded in death by sister Janice Lewis. The family will receive friends from 10:00 am to 12:00 pm on Saturday, November 10, 2018 at Stauffer Funeral Homes, P.A. (Brunswick), 1100 North Maple Avenue in Brunswick, MD. A celebration of his life journey will begin at 12:00 pm on Saturday, November 10, 2018, at the funeral home with Lana Windsor serving as the officiant. In lieu of flowers, the family requests memorial donations be made to either Steadman-Keenan American Legion Post 96 at 18 S. Maple Avenue, Brunswick, MD 21716 or Semper Fi Fund at 825 College BLVD, Suite 102, Oceanside, CA 92057 or at SemperFiFund.org. Expressions of sympathy may be offered to the family at 1 West Orndorff Drive, Brunswick, MD 21716.